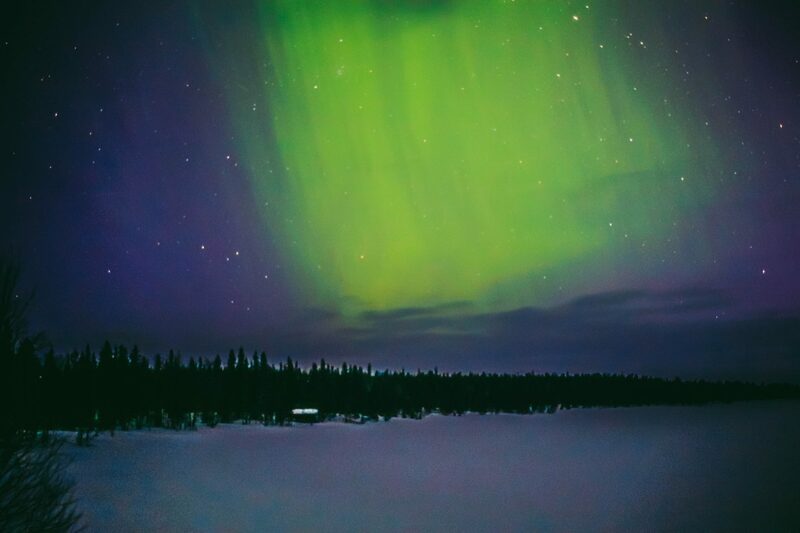 Right in the dead of winter, Akhil asked me about a trip to Finland. Something he has been hoping to do for months now. And I thought to myself, the cold never bothered me anyway. JK! 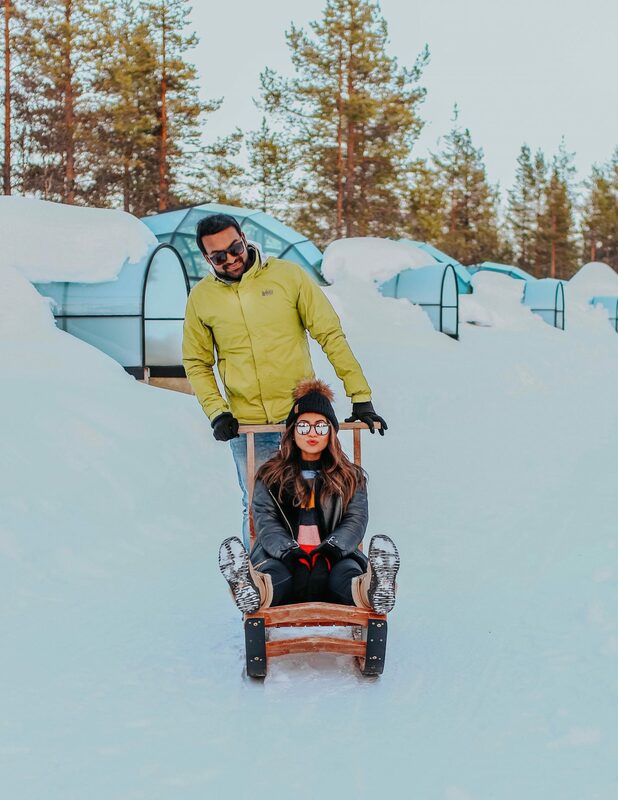 I hate winters but I was excited to take this winter wonderland getaway and packed our bags for an adventurous trip to the Arctic. 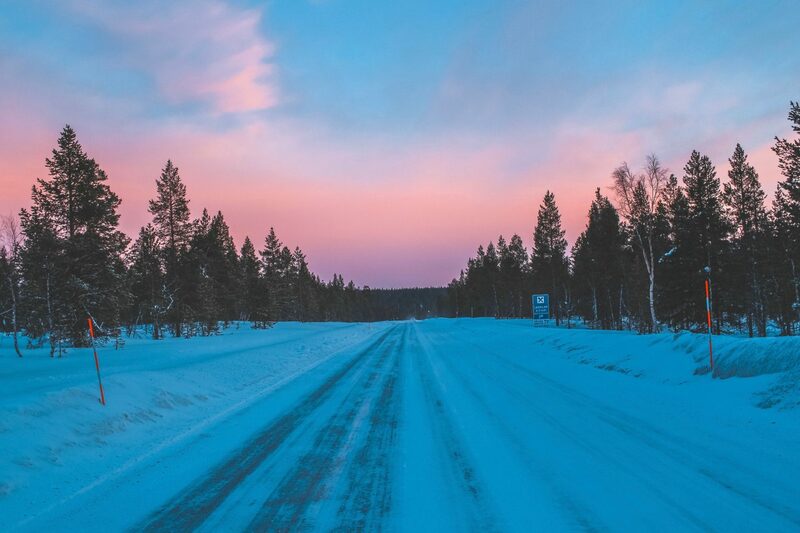 Read on to know more about the highlights of our quick trip to the Finnish Lapland below: Reindeer safari, Chasing the Northern lights and sleeping under the stars. 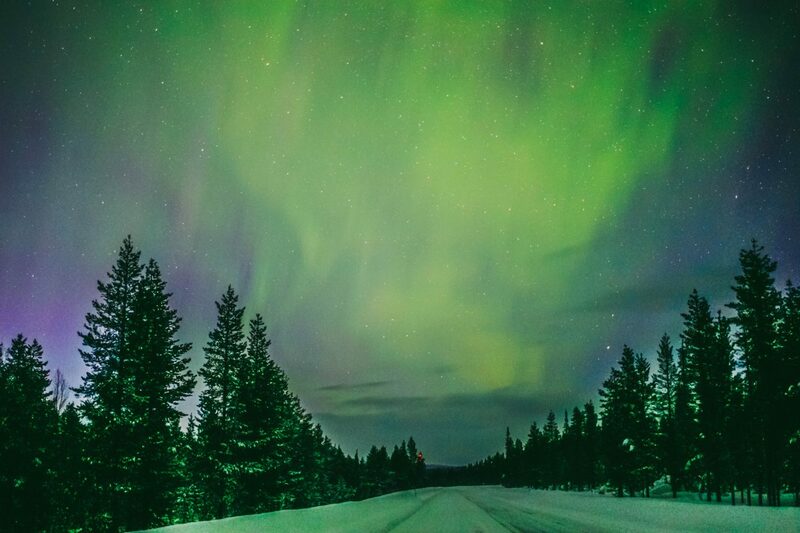 We flew into the Rovaniemi Airport and rented a car for the entire trip. Something I recommend coz its easy to get around town having your own car. All the cars here have snow tires but it can be a bit challenging to drive on snow covered roads so please take precaution. Our final destination for the trip was this little village located 3 hours north of Rovaniemi, in the heart of Lapland. 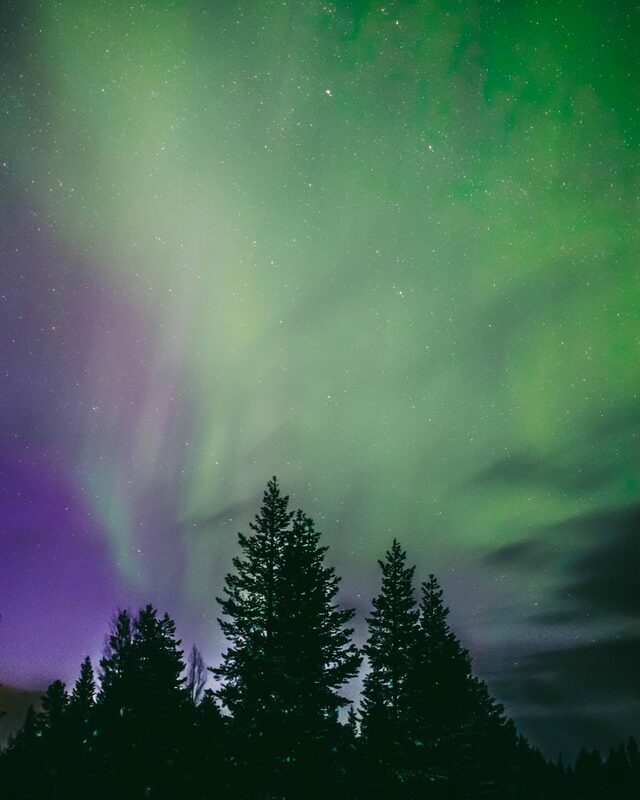 Northern Lights Village – We spent 3 nights at this spectacular property star gazing through our glass roofed cabin. 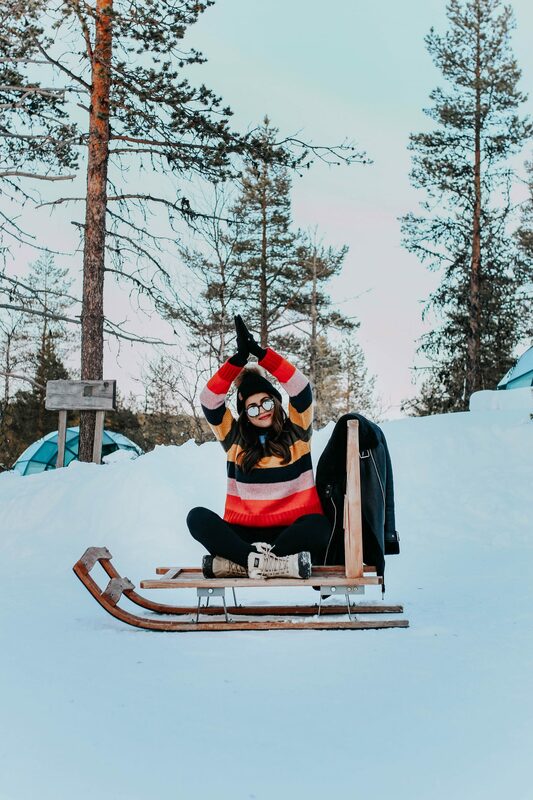 You can book lots of activities through the hotel such as Reindeer/Husky sledding, Northern light excursions, snowshoeing etc. Its located close to the town center so you can head out for lunch/dinner to local restaurants. 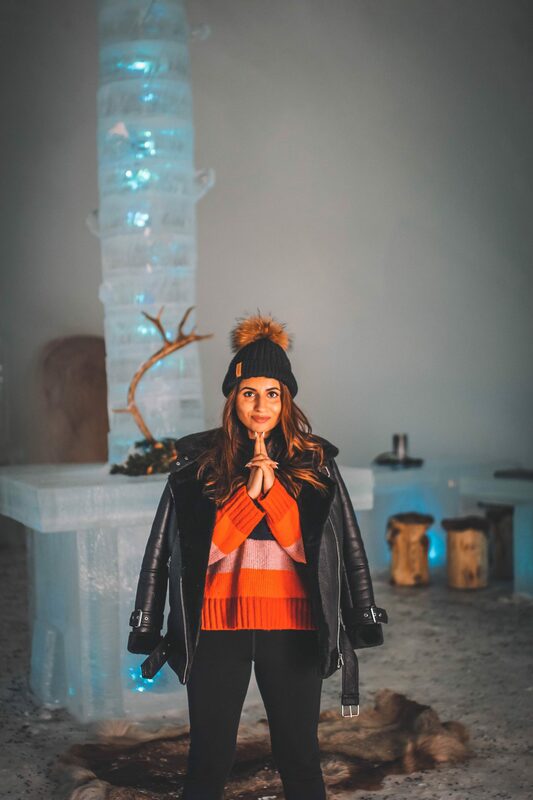 Also there is an Ice bar & restaurant at the hotel that can be dined at from December to Spring. 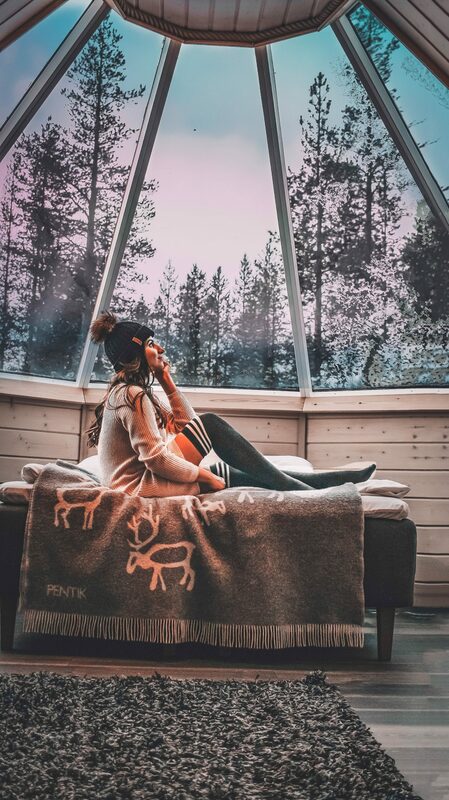 Kakslauttanen Arctic Resort – This famous igloo hotel is another option if viewing Northern lights is at the top of your list coz you can do so from the comfort of your glass igloo. 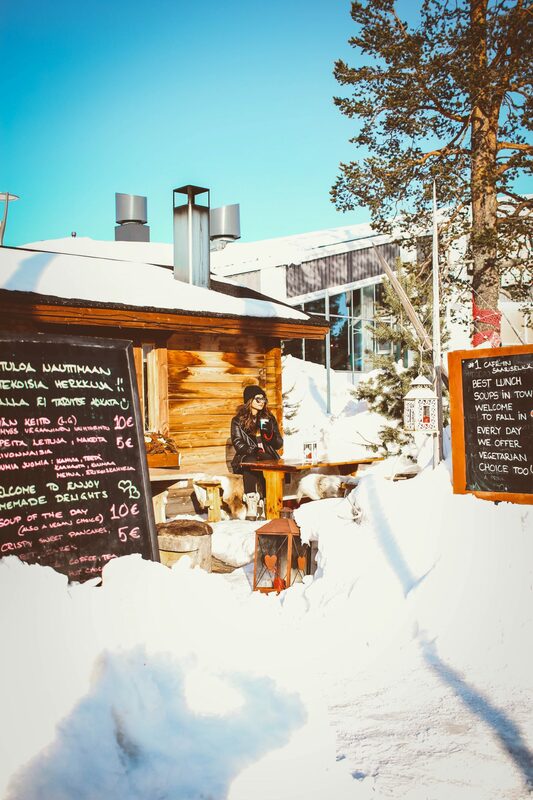 Petronella – A Michelin star restaurant serving Lappish cuisine. Being vegetarians the options were limited to a veg pasta and pizza that turned out great but the star was the dessert. 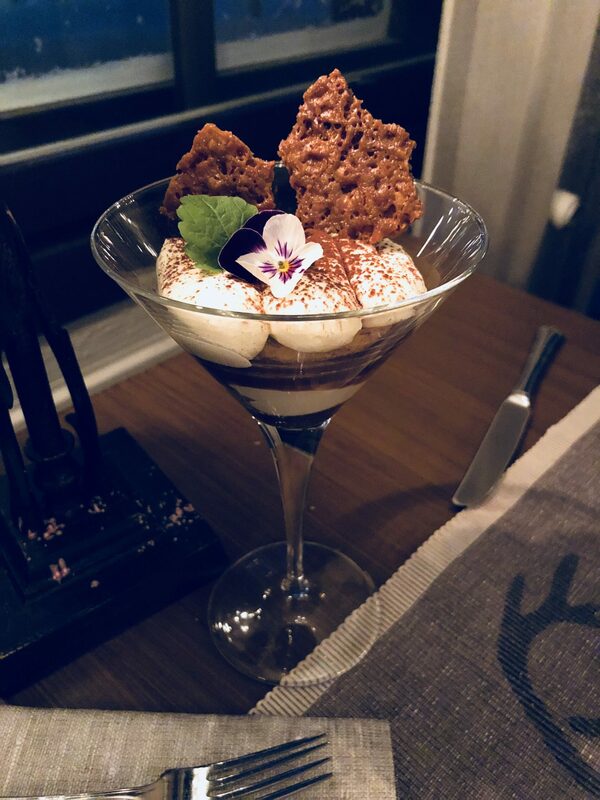 We ordered Tiramisu and it was one of the best we have ever had. Cafe Porotupa – A cozy little cafe serving delicious soups and pancakes. The menu has limited options but is vegetarian friendly. We had yellow lentil soup that reminded us of the Indian yellow tadka daal and Nutella pancakes. The owner was so friendly and also played a Bollywood song for us while we were there. Northern lights village restaurant – The hotel served breakfast and dinner buffets that were included in our accommodation package. There were vegetarian options available as well. We had our breakfast here every day and it did not disappoint. 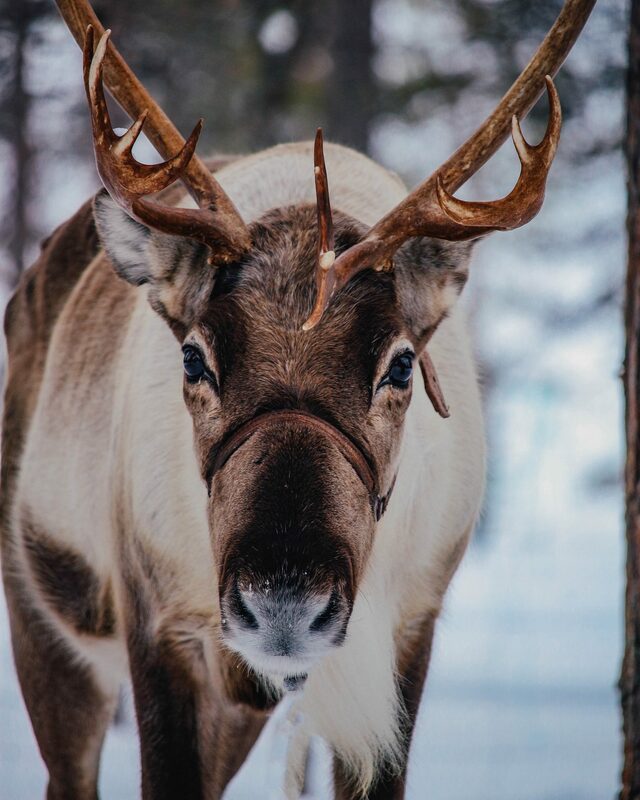 Reindeer Safari – We opted for an express safari of 25 mins at a reindeer farm near our hotel. 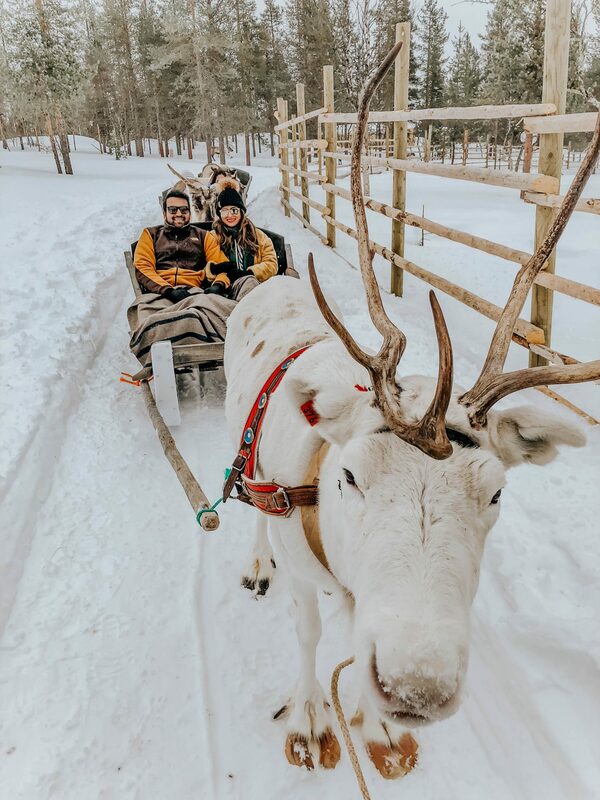 It was truly magical riding the reindeer sleigh through the wintery forest. 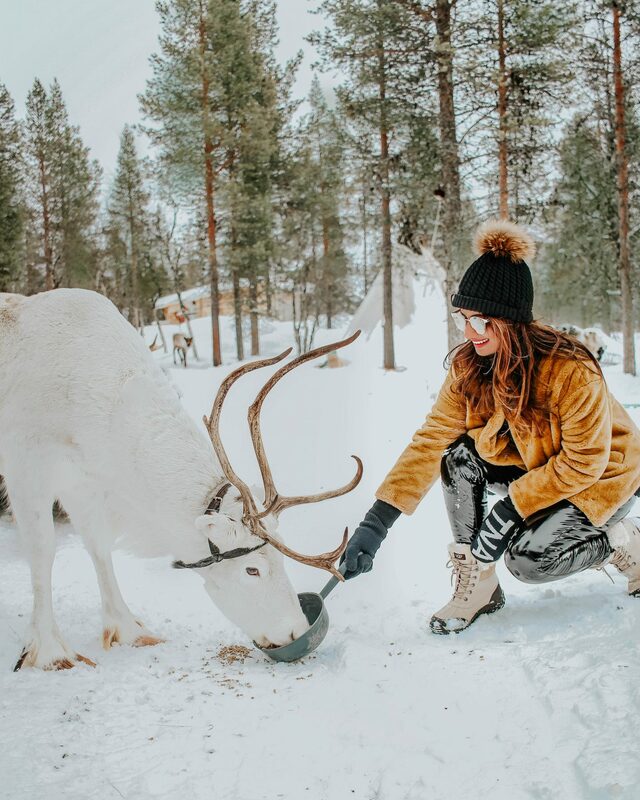 After finishing up with our tour we stayed back at the farm talking to the owner who was feeding the reindeers and upon request he let us feed this magnificent creature. Reindeers aren’t very friendly and don’t like being touched but when I approached with food this guy got so excited. It was a bit scary at first coz of his big antlers staring in my face but once he started eating, he turned into this docile being. Its a moment I will never forget. 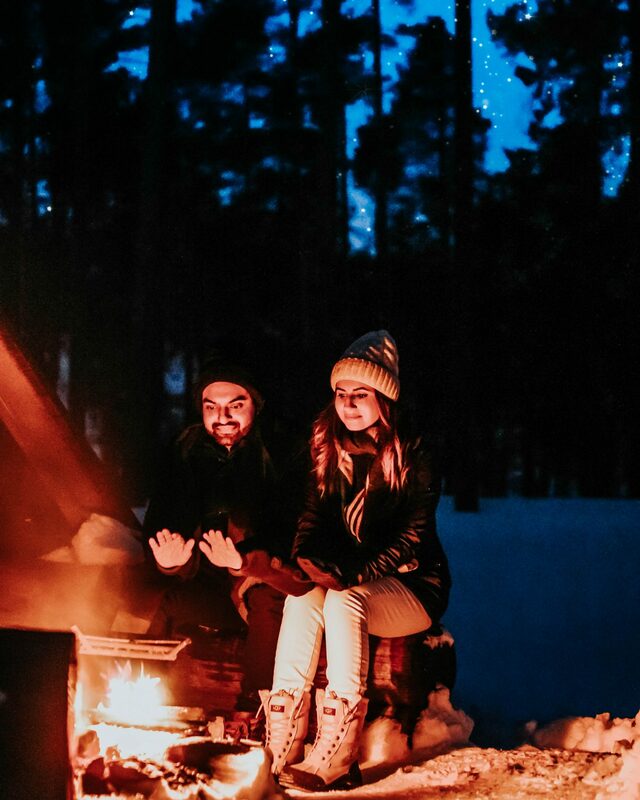 Aurora Camp by the Lake – Go chase the northern lights on the shore of the picturesque Lake Inari where you warm up in a cozy hut by the fire, enjoy a warming drink while waiting for the Northern Lights to appear on the horizon. Snowshoeing in the Fells – This is the first time we tried snowshoeing and thoroughly enjoyed walking with these shoes on, occasionally sinking into the deep snow. 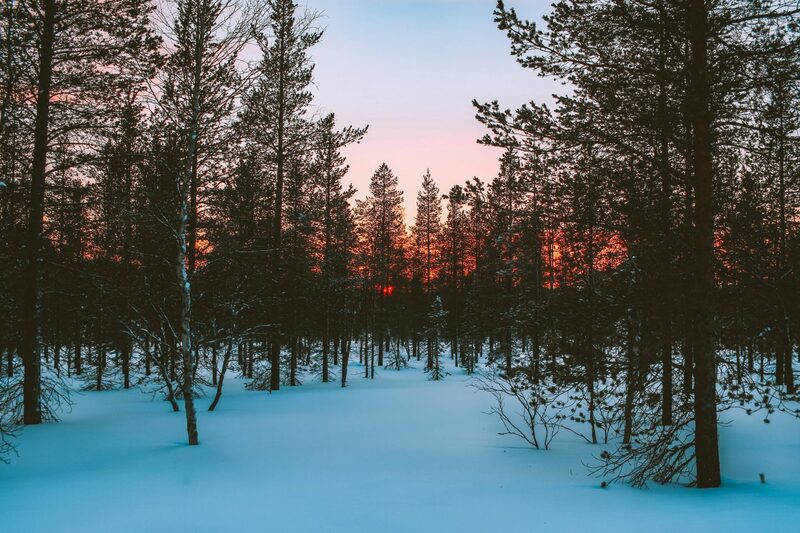 Its a fun activity if you want to explore the natural beauty of Lapland by foot. We rented the shoes from our hotel and headed to a nearby fell. Other exciting activities available are Husky sledding, cross country skiing, snowmobile safari and Icebreaker cruise. 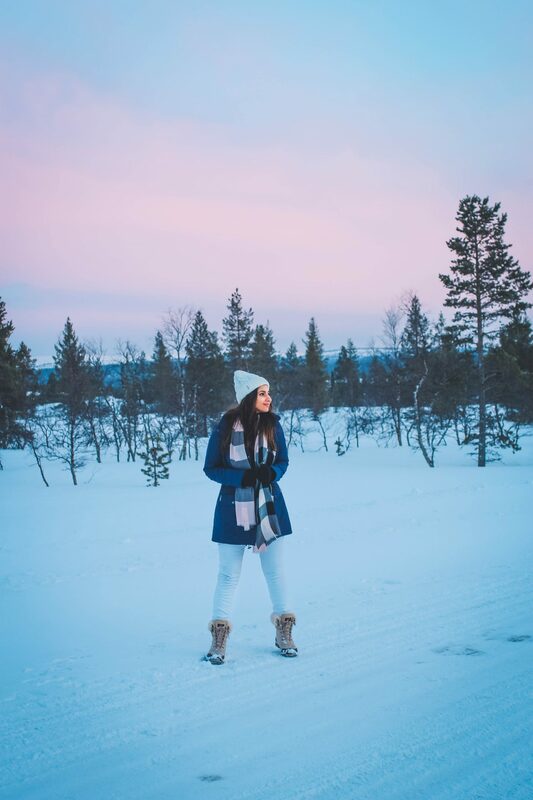 We visited Finland in April when the temps ranged between 6 and -6 degree celsius approximately which means dressing in multiple layers. 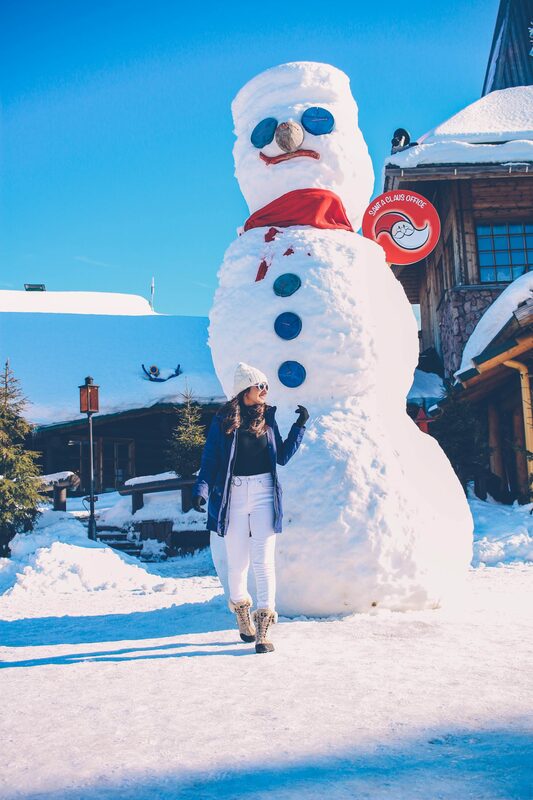 Highly recommend buying good quality thermal inner wear (top & bottom), smart wool socks, woolen sweaters, scarves, beanies, gloves and most importantly good snow boots! If you plan to chase the northern lights through the night I would recommend taking these hand and toe warmers. Trust me they will be your savior. 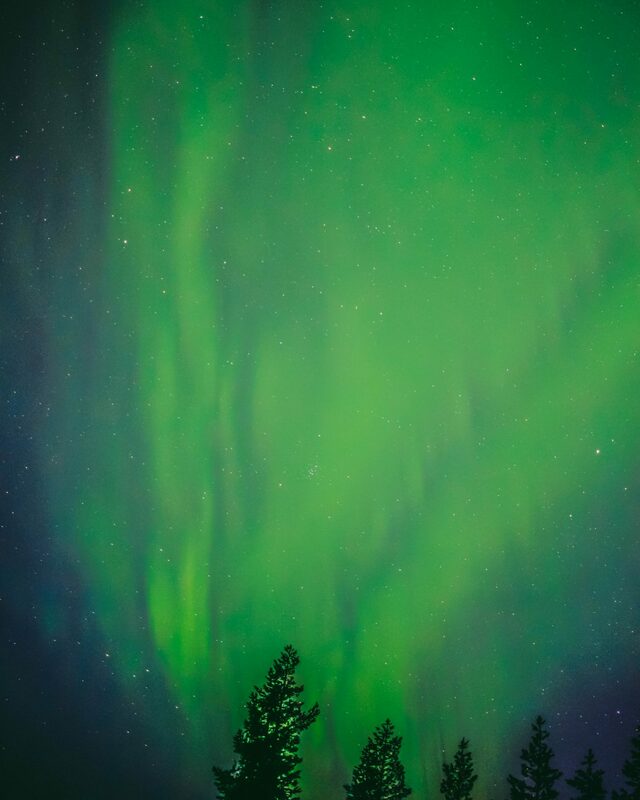 We were absolutely thrilled to experience the beauty of Finland and were lucky enough to spot the Aurora Borealis 2 nights out of the 3 we spent here. But don’t be disappointed if you miss out as there are no guaranties with nature and there is so much more to this beautiful place. Lookout for these signs: if its a clear sky and you can see stars, then wait for it to be completely dark (which happened for us at about 1:30 am ) and keep your fingers crossed for the dancing lights to show up!